Hello Friends and Happy Monday! 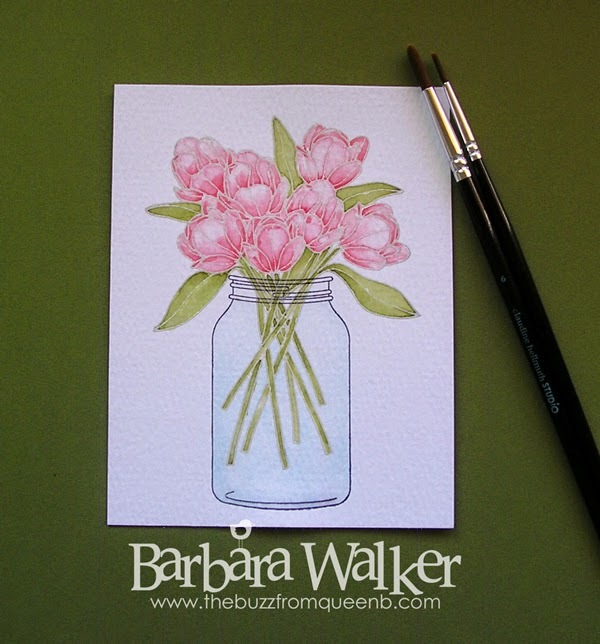 For my coloring today, I pulled out an old favorite...Friendship Jar Spring Fillers. I just love the tulips in this set. I decided to show my Peerless Watercolors some love. 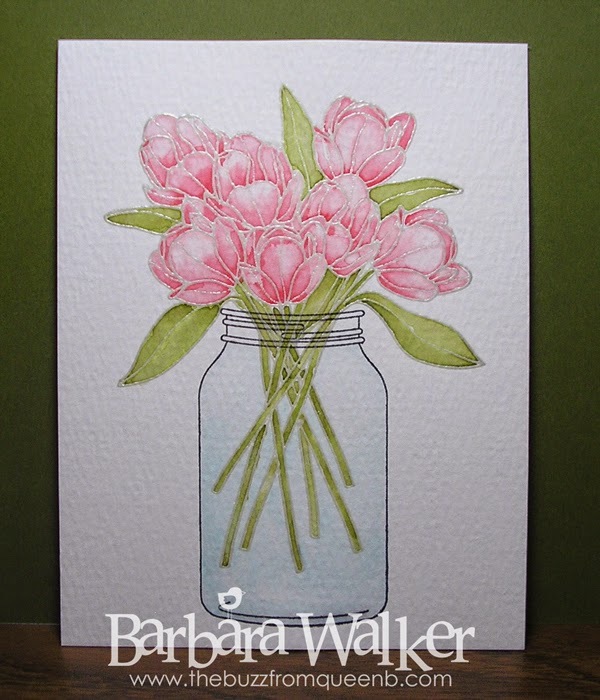 I stamped the tulips onto some Tim Holtz Distress Watercolor card stock, using Versamark ink. 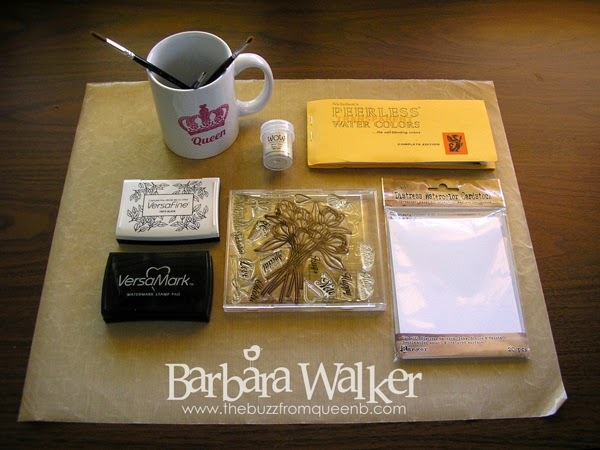 Then, I sprinkled on White Pearl Super Fine embossing powder and heat set it. I let it cool for a moment, then stamped the jar with Versafine Onyx Black ink. And honestly, I thought it was too dark, but I just went with it anyway. Then, I did my watercoloring and let my image air dry. That's all. Really! I know I say it often, but watercoloring an embossed image is SO EASY! The water does all the work and the color stays within the embossed lines. I use a damp paint brush to wet the area I want to color, then I pick up a bit of paint and lightly dab it onto the wet area. I'll add more water if needed to get the color to move, but usually it just moves around on its own. I love the results I get when I watercolor this way. It makes one look like such an artist! Give it a try. You'll be amazed at the results. That's it for me today. Thank you for visiting. Wow!!! Great work with the Peerless! I think I have pinned just about every post from your 30 day coloring challenge! Beautiful work! I love how you show a photo of the "cast of characters"! !